Power adapter, 29VDC, 4A, 90W, 100-240VAC, 118x60x38mm Power supply adapter, input voltage 100 - 240 VAC, output voltage 29 VDC, output current 2 A. Universal jump starter 12V, 200А, 16800mAh Multifunctional powerful start booster. Designed with special ignition clamp, it is universal for most types of vehicles. It can be charging phones, smartphones, tablets, laptops and more. There is also a powerful LED flashlight. Very easily usable and small size for easy portability and access. Adapter, 21VDC, 0.4A, 13W, 230VAC, 5.5x2.1mm Power adapter for consumer devices with operating voltage 21 VDC, supply voltage 230 VAC and dimensions 5.5 х 2.1 mm. Universal power adapter, 1.5-12VDC, 1A, 18W, 220VAC, with different terminals and variable polarity Universal Adapter 3172, Input Voltage 220 VAC and Output Voltage 1.5 VDC, 3 VDC, 4.5 VDC, 6 VDC, 7.5 VDC, 9 VDC, 12 VDC and Output Current 1 A. Universal adapter, 1.5-12VDC, 2A, 28W, 220VAC, with different tips Adapter 3173, input voltage 220 VAC and output voltage 1.5 VDC, 3 VDC, 4.5 VDC, 6 VDC, 7.5 VDC, 9 VDC, 12 VDC and output current 2 A.
Adapter, 24VDC, 0.5A, 12W, 100-240VAC, 5.5x2.5mm, stabilized, ATABA-24001001 Adapter ATABA-24001001 with input voltage 100 - 240 VAC and output voltage 24 VDC, output current 0.5 A.
Аdapter 15VDC, 1A, 15W, KS-1510, 220-240VAC, 5.5x2.5mm Adapter KS-1510, input voltage 240 VAC, frequency 50/60 Hz, output voltage 15 VDC, maximum output current 1 A.
Adapter, 6VDC, 1A, 6W, 100-240VAC, 5.5х2.5mm, WF-1000 Adapter 100-240VAC / 6VDC, 1A. 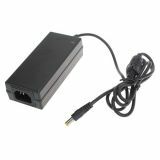 AC adapter UP048S, 220VAC - 24VDC, 2A, stabilized, 5.5x2.5mm AC-DC adapter with output voltage 24 VDC, output current 2 A, stabilized. Adapter, 12VDC, 6A, 72W, 220VAC, 5.5x2.5mm, stabilized, UP075S Power adapter with output voltage 12 VDC, output current 6 A, stabilized. 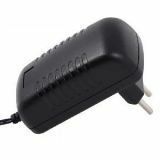 Adapter, 8VDC, 0.4A, 3.2W, 100VAC-240VAC, 5.5x2.1mm, impulse, W&T-AD04W080040V Charger for flashlights 3810 LED EXPERT. Power adapter, 5VDC, 1A, 5W, 220VAC, 5.5x2.5mm, unstable, SL-888 Power adapter SL-888 input voltage 220 VAC output voltage 5 VDC output current 1 A. Power Adapter, 12VDC, 3A, 36W, 100-240VAC, 5.5x2.5mm, impulse, stabilized, ALX-1230TL Power supply adapter ALX-1230TL, input voltage 100 - 240 VAC, output voltage 12 VDC, output current 3 A. 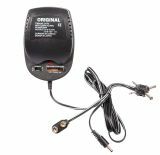 Power Adapter, 9-24V, 5A, unstabilized, MEE-924 Power supply Adapter MEE-924 9V-12V-18V-24V 5A. List Price: 33.50лв. VAT Incl. Adaptor, 3-12VDC, 0.6A, 100-240VAC, impulse, stabilized, PSUPEU600 Charger PSUPEU600 with input voltage 220 VAC-3/4.5/5/6/7.5/9/12 VDC, 0.6 A. Power Adapter, 9VAC, 1A, 9W, 240VAC, 5.5x2.1mm, A41090100 Charger with output voltage 9 VAC and output current 1000 mA. Power Adapter, 5VDC, 1.2A, 6W, 220VAC, 5.5x2.5mm, unstable, SL-999 Power supply adapter SL-999, input voltage 220 VAC, output voltage 5 VDC, output current 1.2 A. Power Adapter, 24VDC, 1.3A, 47W, 230VAC, unstabilized, MG240D130 Adapter, MG240D130, with input voltage 230 VAC - output voltage 24 VDC, output current 1.3 A.
Adapters of the AC/AC type are generally transformer adapters and do not alter the shape and frequency of the input voltage. They change only the value of the output voltage, which can be controlled in steps. The current consumption is determined by the power of the respective adapter. Adapters of the AC/DC type are rectifiers which, according to the principle of operation, are divided into two main groups: linear and switching (key). The value of the output voltage can be stabilized (it isn’t dependent on the input voltage changes and the amendments of the consumed current and other disturbing factors in the performance of the adapter) and non-stabilized. The value of the output voltage can be controlled (gradually or by steps) or uncontrolled. Adapters are widely used to power household appliances, telephones, cameras, laptops, players and many other devices. According to current safety requirements there are thermal fuses incorporated in the primary side of various chargers, converters, adapters and low-power transformers. The heating temperature at which they protect the transformer is indicated on their casing. If this limit value is exceeded, the fuse disconnects the primary winding of the transformer and protects the device against fire.